Can anyone stop Barcelona’s dominance? It was not a good Sunday if you were a fan of a North London club and all in all it was not a good weekend for more as I recorded another 4 out of 10. My predictions are almost that of Slaven Bilic’s start to the season with West Ham, another bad week after the international break and I may have to sack myself. What undid me was the swing games, not taking into account the coupon buster at Wembley every other decision in what you would consider close match ups was incorrect. In hindsight picking both Crystal Palace and West Ham to win were awful decisions but when making predictions you do not have the luxury of that at your disposal. In terms of the all important maths, it means I have got just 13 correct from a possible 30 and after being on a 45% strike rate after week 2, I have now dropped to 43.3% – this is not making for good early reading, hopefully things will settle down once the form guide becomes a bit more stable. I’ll be back next Thursday with my week 4 predictions hopefully we can get things back on track, otherwise it could be a very long season indeed. 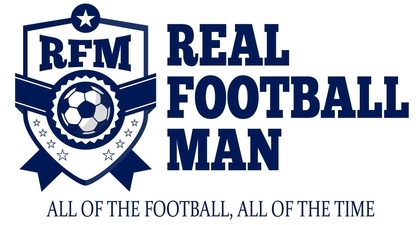 THE LATEST REAL FOOTBALL CAST IS LIVE! I have ten years’ experience as a Data Analyst in commerce and will deliver an accurate, thoughtful, and detail-orientated approach to your business. Highly numerical, logical and solution focused, you will receive a reliable service, reflecting my strong work ethic via motivation, productivity and delivery. Creative and forward-thinking; I also obtain a wide range of skills in digital media and sports journalism, including ownership of two successful football websites, TV appearances and hosting of a regular podcast. I look forward to working with you.